At Mountains To Sea Inspections we rely on Homeguage Software to prepare your home inspection report. The easy to read format allows you to get a clear and concise understanding of the issues that may need attention at your home. We provide these sample home inspection reports as a preview of what your report will look like. With the homeguage software your inspector will be able to display the pictures they have taken at the property that will help highlight any issues they may have discovered. So, not only do you get a clear description of what the issue is but a clear picture to help further describe the problem. 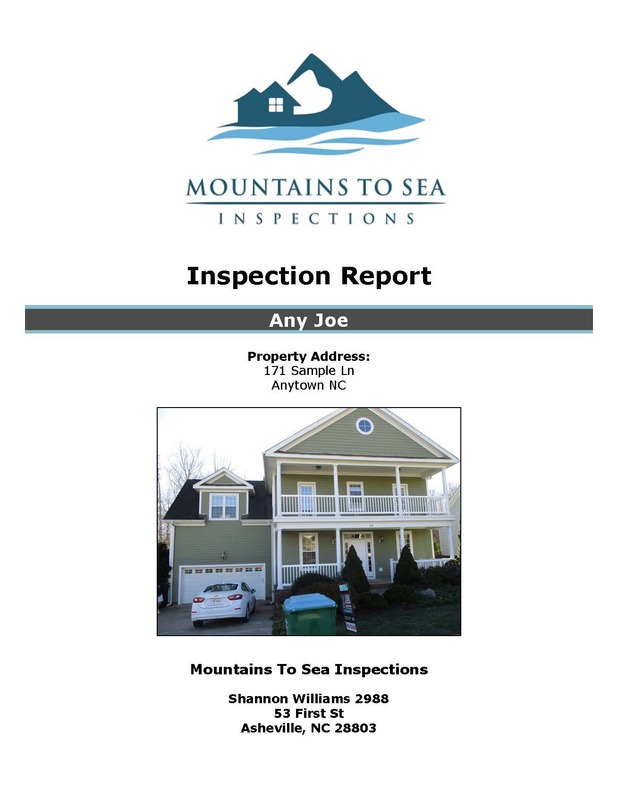 At Mountains To Sea Inspections it is our goal to have your inspection report ready for you within 24-36 hours after your inspection. Make Sure Your Home Is Not Hiding Anything! Schedule Your Inspection Today!